$10 gets you 00 games that each pay $1,040. Matinee & Evening Sessions only. 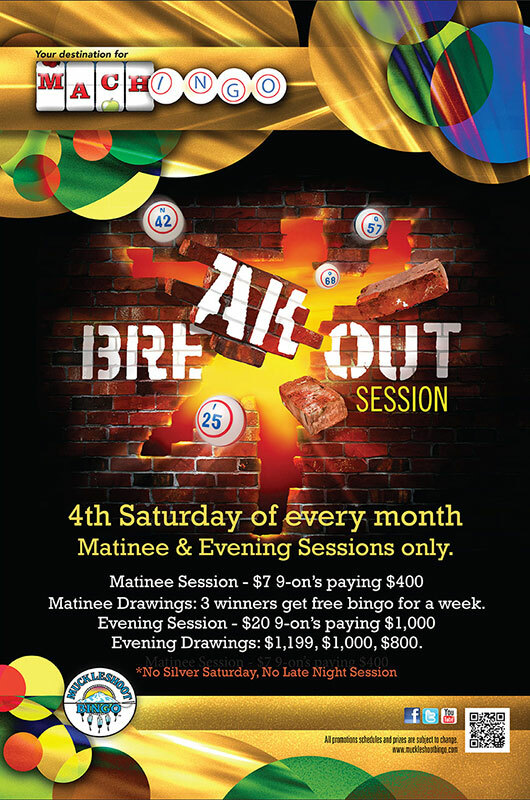 Matinee Drawings: 3 winners get free bingo for a week. Evening Drawings: $1,199, $1,000, $800. *No Silver Saturday, No Late Night Session.